Ride on the yokai train? I’d be too scared! The awesome artwork on the left is part of a promo for the Bake-den, a train service in Kyoto that occasionally features some spooky Japanese monsters, or yokai. Bakeru is a verb meaning “to transform” (pronounced BA as in BARber; KE as in KEttle, and RU as in RUde), and while the bake-den might look like an ordinary train, it’s not! Sometimes the train transforms into the Yokai Train, and in this case the yokai aren’t content to stay as pictures on the outside of the train: they manifest and ride the train (and no surprises there, because while adults have to pay 200 yen for their ticket, and kids ride half price, yokai only have to pay 50 yen, so why would they walk?). The whole train is lit in eerie blue, hands hang from the roof, actors dressed as monsters board the train and sit next to human passengers. It sounds great, except YOU CAN’T GET OFF THE TRAIN the instant you get scared. That, for me, makes it way too scary. I’m not sure how I feel about the yokai train: it’s a cool idea, but in some of the YouTube footage the kids are REALLY REALLY scared and very unhappy (“iya” = disgusting; “kowai” = scary; “da-me” = bad)(this short video gives you an idea without being too harrowing), and I think that’s overstepping the mark. Ghost stories should be fun, not leave you with psycological damage. The best thing about reading a scary story is that you can always close the book, and the scariness stops. I hate the idea of being scared and not being able to make the scariness go away. (I don’t watch scary movies and I *hate* Horror Houses and that kind of thing)(ergh). Anyway, the train gives you an idea of how popular yokai are in Japan. The yokai on the train are inspired by the Ge-Ge-Ge no Kitaro manga series, created by the amazing and prolific Shigeru Mizuki. And I guess my response gives you an insight into me: I’m a scaredy cat! 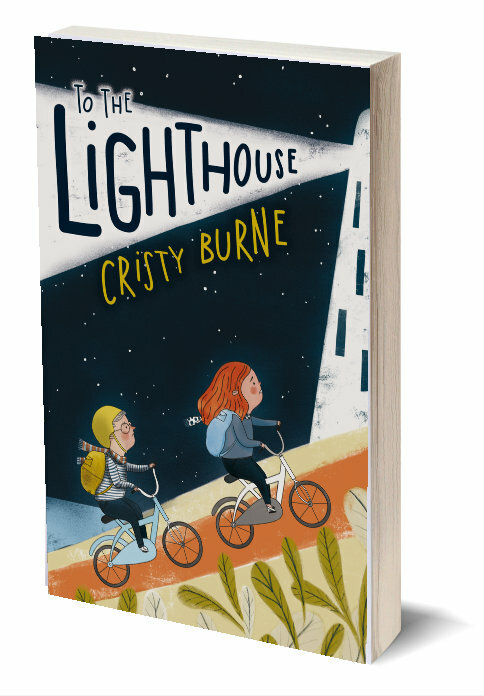 I don’t like being scared and I think stories should be exciting and thrilling and leave you hanging on the edge of your seat, not leave you with nightmares. Especially for childrens books. I prefer scary stories that EMPOWER the kids who read them, not leave them quaking. Tags: horror, Japan, Japanese mythology, rant, travel, yokai | Permalink. 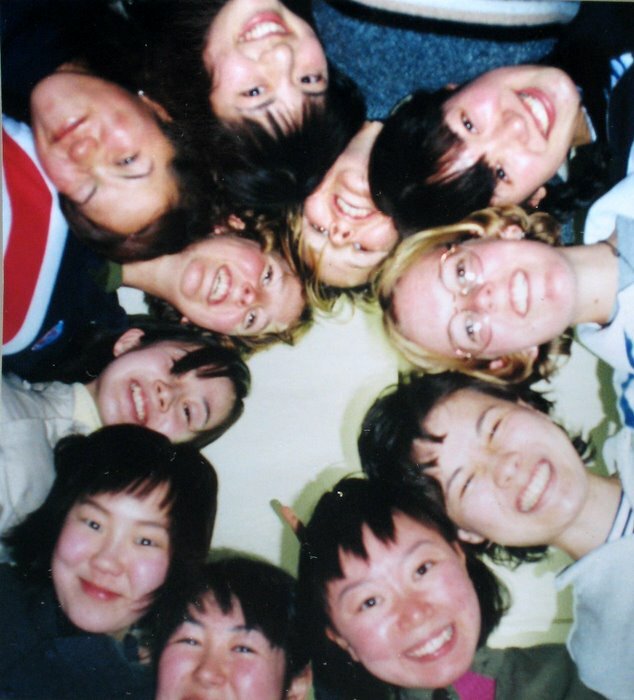 I studied Japanese at high school, but my first trip to Japan was as part of the Japan Exchange and Teaching Program, or JET, a huge international exchange program that now has 50,000 alumni around the world. I was a JET in Kawanishi (the town Miku Takeshita and her family come from ;-)). Thanks to JET, I had two brilliant years in Japan. However, the chance for other young people to share this experience is under threat: the Japanese government are considering a massive cut to the JET program’s budget, and although this is not surprising, given that Japan has to tighten its economic belt, it is sad. Remember, though, that JET began 22 years ago, when seeing a foreigner in Japan was as rare as seeing a sushi train in an Aussie department store. Now, more than 50,000 young people have worked and lived in Japan as part of the JET program, which means tens of thousands of people carry a warm flame for Japan in their hearts. – Education: As a JET I worked as an Assistant Language Teacher at the local high school, interacting with Japanese students and teachers, trying kyudo (archery) or chado (tea ceremony) and never quite brave enough to try kendo (you have got to be kidding!). I encouraged my students to write and perform theatre, to create stories, to talk to each other in a foreign language, and I still keep copies of their work, and photos of our time together (we even performed our theatre at the school Cultural Festival…in English! Woo hoo!). I also worked with the Parent Association, holding English classes for interested parents and hosting our very own quiz. It was great fun! – Industry: After JET I returned to Japan for a year, working as a technical editor for a Japanese company, contributing directly to the Japanese economy and continuing the good work that JET began. – Arts: My time on JET directly inspired the creation of Takeshita Demons, a children’s novel that features a Japanese heroine, Japanese culture and traditional Japanese demons, or yokai. Takeshita Demons won the 2009 Frances Lincoln Diverse Voices Children’s Book Award and has been selected as part of the UK’s highly respected Booked Up program. 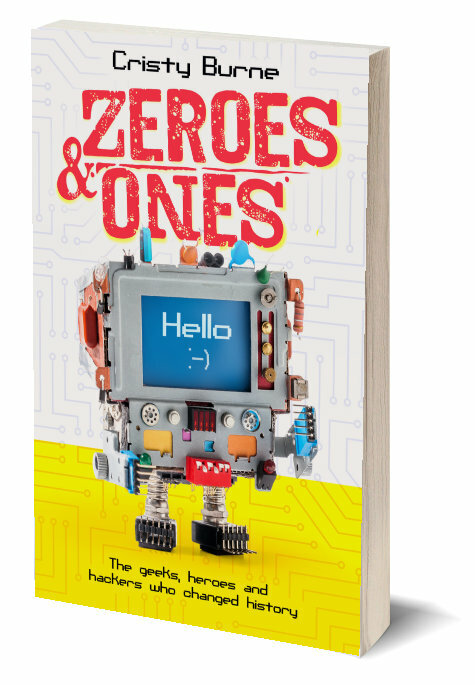 It will be published in the UK, the U.S., Australia, New Zealand and hopefully beyond. Children everywhere are reading Takeshita Demons, learning more about Japan, and sharing JET’s vision for an international, multicultural world. 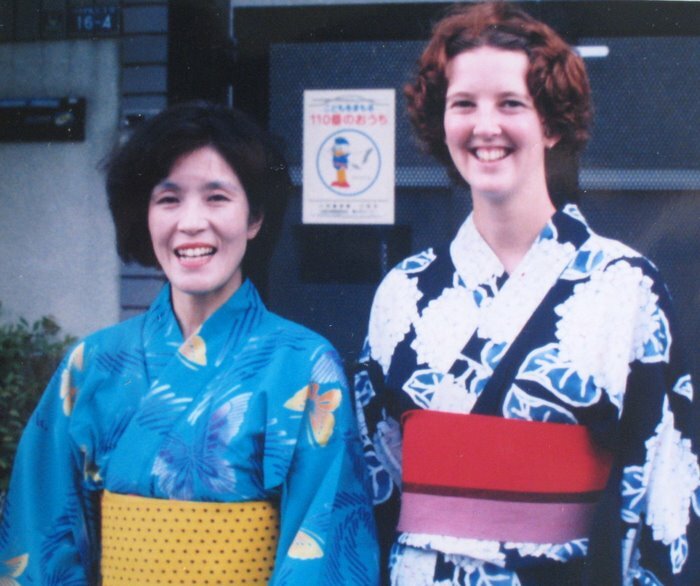 Multiculturalism: While working as a JET I assumed I was the only gaijin or foreigner living in Kawanishi – I never saw another in the street or in the shops, although other gaijin did live in neighbouring towns. With my white skin and unruly hair, I stuck out. I also did things differently: ate strange things at strange times, laughed at odd moments, marveled at ordinary things. And all of this is potent medicine for cultural understanding and cultural exchange. Now, thanks to JET, Japan is a much more international place than it was. 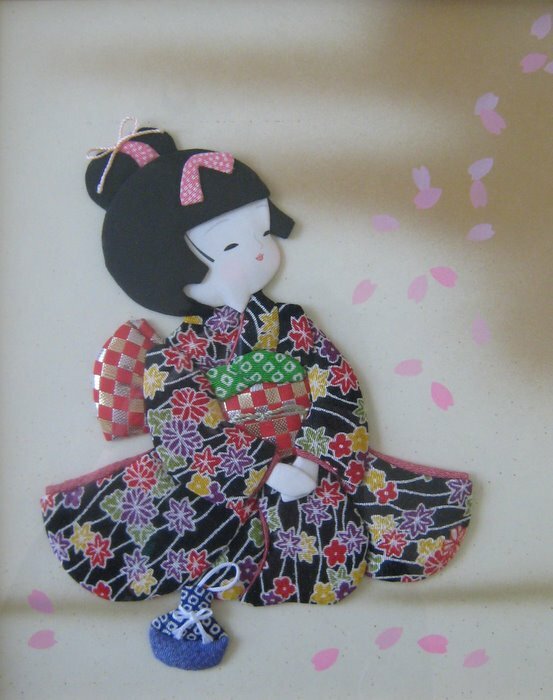 …and my head is full of Japanese memories and culture and warmth. The influence of JET extends far beyond the classroom, acting to promote Japan and the Japanese culture whereever JET alumni are. In my case, I could never have written Takeshita Demons without my JET experiences. In these lean times and hard times, it may be that Japan needs the JET alumni more than ever. That said, perhaps JET has done its job? There are thousands of ex-JETs spreading their enthusiasm for Japan globally, and Japan is a much more multicultural place than when JET first began. So what to do? I respect the need to budget and perhaps the JET program is a more sensible target than health or science. But, whatever happens, the good work of JET should be celebrated and recognised and hopefully, in times more flush with cash, continued. Tags: diversity, Japan, JET, multiculturalism, tanuki, travel | Permalink. Want to catch a glimpse of what your afterlife might be like if you don’t behave properly? Check out this great You Tube introduction to some scary supernatural types who make their home right in the centre of Tokyo, Shinjuku, in a temple called Taiso-ji (built in 1596). The big scary guy at the back is Enma Daio, also known as King Yama, the ruler of hell. On his left-hand-side you can spot the big pincers he keeps on hand for pulling out your tongue if you dare to tell a lie. On his right-hand-side sits his sidekick Datsue-ba, an old woman in charge of measuring people’s sins as they try to cross the river into the afterlife. When you meet her, she’ll strip you of your clothes and weigh them: the weight of your clothes is proportional to the weight of your sins and you are sentenced accordingly, so watch out. And don’t think you can turn up naked and skip the whole weighing thing: she’ll strip you of your skin if that’s all you’re wearing. Strictly speaking these two aren’t really supernatural yokai, but more religious figures from Buddhism. However, in his prime position at the gateway to the old city of Edo, the super-scary Enma Daio plays another role: he scares away dangerous demons, thus protecting the city from the hordes of yokai out to make mischief. It’s a tough job, but he’s obviously qualified. Tags: demons, Hell, horror, Japanese mythology, travel, yokai | Permalink. 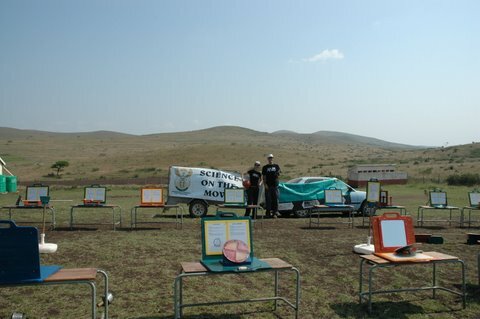 I’ve just found out that my great pal and co-presenter Graham Walker is back in South Africa this year with a mobile science show raising awareness about HIV/AIDS. At last week’s “Meet the Talent” session, I talked briefly of my experience in a science circus, mentioning that I’ve presented to a gazillion children over my years on the road. 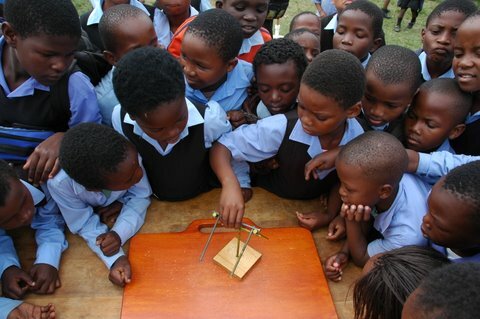 Some of these children were in Zululand, South Africa, where Graham and I volunteered with the FABULOUS UniZul Science Centre and Science on the Move, a mobile science exhibition that travels to remote and disadvantaged schools. Fenced primary schools of ragged curious children, interactive science shows performed to packed classrooms, low-tech teacher workshops, streams of learners through the hands-on exhibition… We escape potholes, dodge taxis, pack boxes, choose words…Welcome to another day trucking with Science on the Move. On this particular day we are travelling in a convoy of two, and already deep into the dirt roads and rolling hills of Zululand when we first suspect something is up. 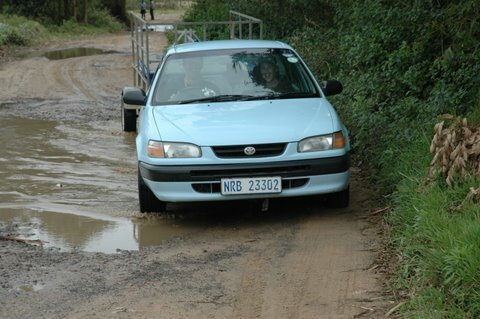 The lead car, the one containing the teacher sent to guide us to her school , stops to ask a passerby for directions. Hang on…how can a teacher not know the way to her own school? A few minutes on we stop again to ask for more directions. The T-shirt of the woman we ask reads: “Smile and be happy”. And so when she points in the opposite direction, we just smile and happily do a U-turn, narrowly avoiding a pothole that eats up half the road. I’m still not sure what the answer to this question is. Hopefully I will never have to find out. Just as we are beginning to entertain the idea that this teacher is an imposter sent to lead us to our ambush doom, we arrive at the school. It is literally on the edge of nowhere. On one side are the round huts of the village, on the other, empty hills. The sign on the barbed wire fence says “No guns, No knives, No alcohol”. It’s a primary school. 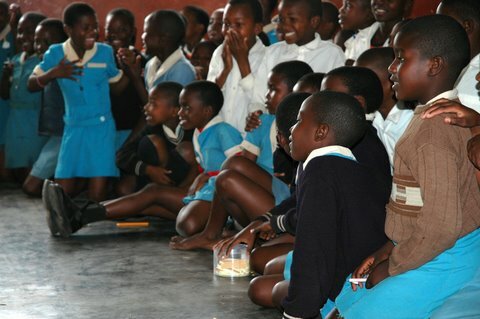 There are 295 learners and the school fees are 50 Rand (around US$6.50) a year. There are six classrooms, wooden desks, concrete floors. 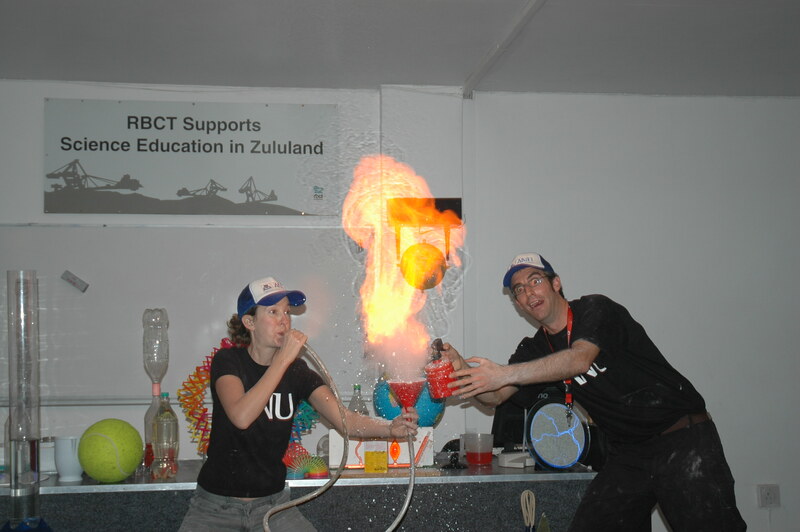 We do two shows (including the first-ever show performed by a female member of the science centre staff)(Yeeha!) and we get the whole school through the exhibition. The kids understand hardly any English and are entranced by our white skin and big body language. The littlies dance in the just-shiny reflection of Derek’s car. They seem to think I am an MTV diva…the girls strut and flick their hair in an imitation of what they think white women are, except that I’m wearing dirty sneakers with my hair shoved in a super-daggy cap. The boys race to be the one to help me carry boxes; their friends point and look on and laugh. Some mock my sing-song language when they don’t understand. Others (none today) can hold a perfect English conversation. There are ten staff, all women. At the end of the teacher workshop, when I ask if there are any questions, the teachers pepper me: How does rain work? Why are Australians so good at sport? What does the rest of the world think of Africa? Yikes. The first teacher didn’t know the way to her school because she was deliberately taking us a different way. Yikes again. I cannot say it enough: These weeks were an AMAZING time. Many, many thanks to the amazing staff of the UniZul Science Centre, to the Fish family, Graham Walker, the Duck Inn, CPAS at the Australian National University and many more. Wow. Thankyou. Good luck with the new show Graham! One day we’ll bring Fergus to Richard’s Bay and see if he can build the house of nails! Tags: Africa, appearances, language, multiculturalism, science, travel | Permalink. Well don’t count on it. I’ve just had a tiny faith ripped away, a belief so set-in-concrete I took it for granted, something that needed no champion because it was so blindingly obvious. This thing was my belief in the global love of Snugglepot and Cuddlepie. ***Never heard of Snugglepot and Cuddlepie? Read on because you’re missing out! I have always assumed that everyone must know of May Gibbs‘ Snugglepot and Cuddlepie. Such a fabulous wondrous storybook must surely have sailed through the hurdles of culture and language to be loved all over the world. This was certainly the case for us. My sisters and I grew up on a green New Zealand farm, far from the sunburnt country of my Australian mother’s childhood. But never too far: Mum always read to us of naughty koalas, bad-tempered puddings and, of course, brave and hilarious and exciting and utterly delightful gumnut babies. But…at a writers’ event in the UK, I realised (right in the middle of my talk) that when I spoke of big bad Banksia Men and Little Ragged Blossom, no one had the foggiest idea what I was talking about. And the attendees weren’t just ordinary people; they were librarians! And still they had never heard of Snugglepot and Cuddlepie!?! I was dumbstruck, dumbfounded, open-mouthed, gob-smacked. As kids, alongside our Australian and New Zealand adventures we’d also read of Paddington Bear and Peter Rabbit and Ratty and Mole and Winnie the Pooh; surely British kids must have been reading of the Muddle-headed Wombat and Mrs Snake and Mr Lizard and Bunyip Bluegum and the Noble Society of Puddin’ Owners? When our kids grow up and get backpacks and working holiday visas, they’ll be cruising the world and experiencing new places and meeting new people. Why make them wait till then? Tags: Australia, diversity, multiculturalism, travel | Permalink. I am horribly behind in lots of things, but right up-to-date in playing with Fergus, hugging Doug and having new adventures. How do you spell “hectic”? spending a week in a perhaps-never-renovated and very quaint cottage in the main street of Tintagel (in Cornwall)(#23435 on Cottages4You). We made it! We’re back in Australia and still sane! After a few days with family in Perth, we are now staying with family in rural WA and planning to stay with a third lot of family back in Perth later in the week. By the time we’re once again on our own as a new family, we’ll have spent five weeks living out of a suitcase with three-month-old Fergus. Yikes! But fun. Fergus has coped extraordinarily well with all the moves: driving, flying, packing, unpacking and even jetlag (he adjusted in about three days and last night slept 12 hours for the first time ever! )(YAY Fergus!!). He has managed to sleep in all manner of places at all manner of times. Flying thousands of feet above the ocean in a nearly-too-short bassinette is perhaps the cutest of them all: I reckon being three months old is more luxurious than flying business class. A tip to travelling parents (well, it worked for us anyway): we’ve kept Fergus’ lambskin rug and hand-knitted rabbit as constants: whichever strange cot or unusual place he finds himself in, Lamby and Bunnie are there, smelling oh-so-sweetly of homemade yoghurt. 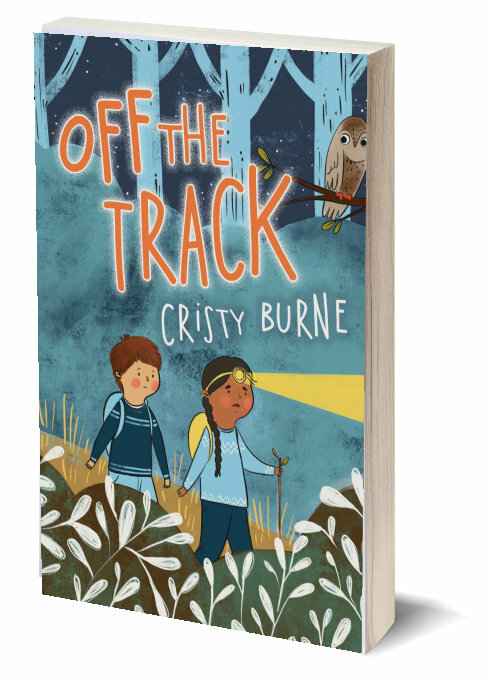 During these days of semi-procrastination, I forget how much I love to write, how the hours tick by in a creative blur, how satisfying it is to get down some good words, how thrilling it is to be on the track of a new and exciting story. I know once I get back into it I’ll be away and buzzing again. The key to Fabulous Happiness over the next few months is going to be discovering a balance between baby, family, fiction writing for pleasure, and copy writing for cash (know anyone who needs a good copy editor? ;-)). Plus an effort to stay fit, see friends, find a new house and car and pay the bills. So how hard can it be? Bring it on: changing countries and nappies, relying on self-employment and self-motivation, recreating ourselves and our life. What will be next? Tags: baby, future, travel | Permalink. We went to Preston last week, a fab university town about three hours by train from London. It’s the first time we’ve been away overnight since Fergus was born, and he LOVED it. He was either incredibly awake (alert, looking, laughing, reaching out, trying new sounds) or incredibly asleep (he didn’t think twice about sleeping for eight hours straight in the unfamiliar cot: what a champion!). Actually I think Fergus slept better than me: I had a recurring dream about being minutes from going on stage, but not knowing my lines. I rush around trying to find a copy of the script: I know if I can just be reminded of my first line, the rest will fall into place. But guess what? There’s not a copy anywhere and noone else is around. Gulp! (Turns out my editor has the same recurring dream…anyone else?). This actually happened to me as a kid in New Zealand: I got up on stage, all dressed up with an Aussie swagman’s cork hat and ready to recite Dorothea MacKellar’s “My Country“, and I blanked out. I completely forgot the first line. I just stared through the dangling corks at the sea of faces watching me and sweated, waiting for someone to prompt me. It was a long wait. They probably thought I was going for dramatic effect. We also went to Blackpool, Britain’s old-school-British answer to Las Vegas. We ate fish and chips in a pirate-themed amusement park, with bells and whistles and buzzers going off, slow-motion pirate boats crusing overhead, zombie killers, soft toy grabbers, coin pushers…the works (I obviously don’t know their technical names…and we didn’t win a giant stuffed tiger)(We did, however, have an excellent time…I’d love to stay here for a summer and write!). Tags: appearances, baby, travel | Permalink.